Milo Powell is an ordinary young Canadian boy until a kid is in trouble. Any time a kid yells “Uh-oh! 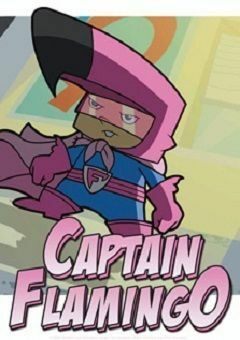 Flamingo!”, Milo transforms into Captain Flamingo, whose mission is to help little kids who need assistance. Captain Flamingo is aided in his missions by his best friend Lizbeth Amanda Zaragoza, who apparently has a not so secret crush on him. CF also has a little brother named Thor.